Cool cats lick cool popsicles. 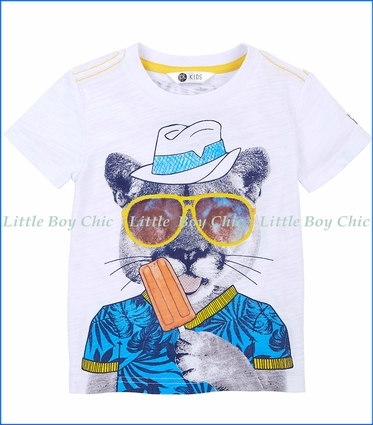 Eye catching graphic print t-shirt by Petit Lem. Crew neck. Short sleeve. Easy to piece together with Petit Lem signature board shorts, they're an essential of any wardrobe this season.